"He was the best star-pilot in the galaxy, and a cunning warrior." 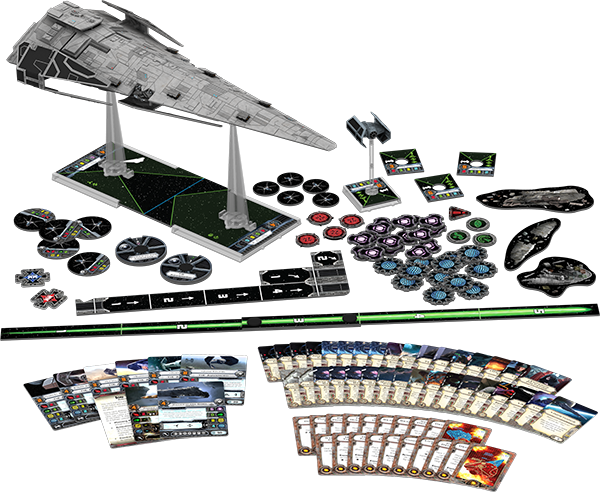 In our last preview of the Imperial Raider Expansion Pack, we looked at what its huge Raider-class corvette adds to X-Wing™ and its Epic Play battles. We explored its uses for energy, the ways that it can maneuver to line up devastating volleys of laser blasts against unwary opponents, and we looked at a few of the officers and other upgrades that allow you to customize your use of the Raider within your Imperial fleet. 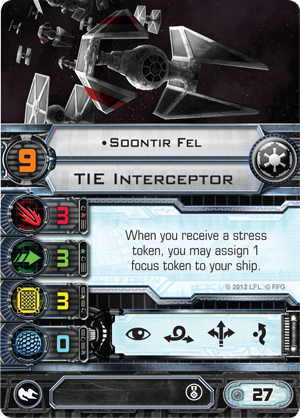 Today, however, we turn our attention toward the other starship in the Imperial Raider Expansion Pack, the miniature TIE Advanced that comes with a new variant paint scheme, six ship cards, and four copies each of two potent upgrades that will redefine this fighter in battle! 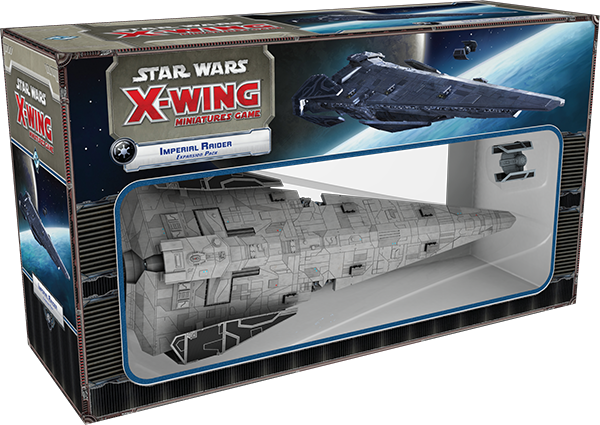 Moreover, the variant TIE Advanced that comes in this expansion is legal for X-Wing Standard Play and tournament play, as are its ship cards and a host of the expansion's upgrades. Designed as a potential replacement for the TIE fighter, the TIE Advanced features shielding, a hyperdrive, and an advanced targeting system designed to overcome the resistance offered by electronic jammers. However, the fighter's targeting system often required adjustments in the heat of battle, its various upgrades made it slightly less maneuverable than the TIE fighter, and its higher production costs kept it out of widespread use. Instead, the TIE Advanced was only ever flown by the Empire's very best pilots. For those pilots, though, the TIE Advanced may very likely have proven the difference between life and death. Even Darth Vader, one of the galaxy's greatest pilots, was nearly destroyed during the Rebellion's attack on the first Death Star when his Black Squadron wingmate crashed into him after taking fire from the Millennium Falcon. Although the impact would have likely destroyed a TIE fighter, Vader's TIE Advanced held intact, and the Dark Lord of the Sith continued to serve the Emperor for years to come. 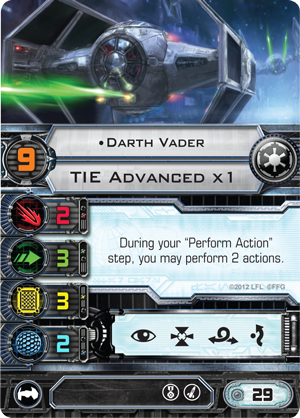 In X-Wing, as in Star Wars, the TIE Advanced is a ship that's best reserved for the Empire's best pilots, and the Imperial Raider Expansion Pack introduces four more of these aces, as well as a pair of upgrades that boost the ship's impact in battle, the TIE x1 Title and Advanced Targeting Computer . 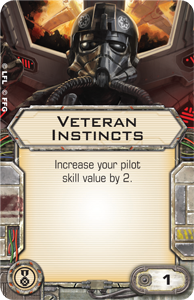 The first of these pilots is Lieutenant Colzet , a veteran member of the Storm Squadron, whose experience with the TIE Advanced has allowed him to master its targeting systems. Like every other TIE Advanced pilot, Lieutenant Colzet must acquire a target lock – and not spend it for any other effect – if he wishes to gain the extra his Advanced Targeting Computer can grant him. 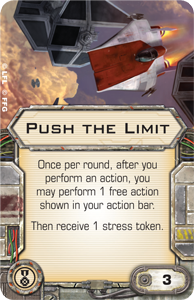 While there's no question that a bonus critical result is worth the action, it's still better to get full value for your actions whenever possible, and this is where Lieutenant Colzet's uniqe pilot ability comes in handy. At the start of the End phase, he can spend a target lock that he has on an enemy ship to flip one of its facedown damage cards faceup. 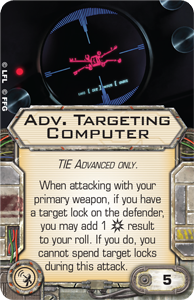 In other words, Lieutenant Colzet's Advanced Targeting Computer can be worth two critical hits, rather than one. 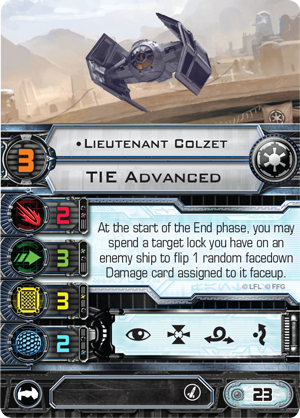 Even if he doesn't deal more than one point of damage himself, Lieutenant Colzet's ability can flip any facedown damage card, including those dealt to his target by his wingmates, and faceup damage cards are far more frightening than facedown ones. With Lieutenant Colzet in your squad, any damage your opponent suffers could suddenly result in a Blinded Pilot, Weapon Malfunction, or even a Direct Hit! 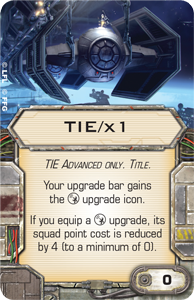 The TIE x1 Title and Advanced Targeting Computer upgrade cards are also likely to feature prominently in any squad that includes Commander Alozen , another veteran member of Storm Squadron. Because he can automatically acquire a free target lock on any enemy ship at Range "1" at the beginning of the Combat phase, Commander Alozen can spend his actions on ensuring that he's in the right place to strike, rather than powering up his shots. 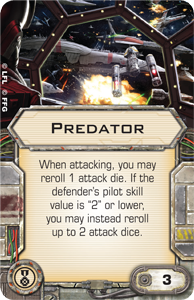 Additionally, since Commander Alozen has the elite pilot upgrade slot, you can use Predator to free up even more actions, or you can gain extra actions with Push the Limit . Because neither the TIE x1 Title nor the Advanced Targeting Computer occupy your modification upgrade slot, you could also equip Commander Alozen with an Engine Upgrade to give him the boost action along with the barrel roll action, meaning he has even more ways to maneuver into Range "1" of his prey. 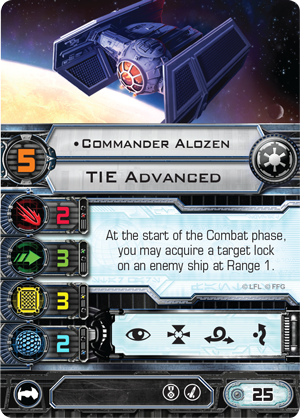 Of course, since it's easiest to maneuver into firing position when you can discern where your opponents are flying, you may wish to equip Commander Alozen with the Veteran Instincts upgrade, boosting his pilot skill value and his chances of performing his maneuvers and barrel rolls or boost actions after your opponents ships. After all, with his Advanced Targeting Computer, Commander Alozen is one of the galaxy's deadliest pilots at close range. The trick is getting him consistently into an optimal position. "Enemy ships at Range 1 cannot add their range combat bonus when attacking." 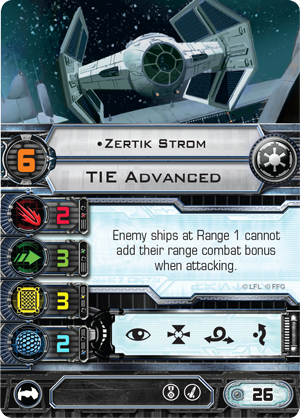 Notably, Zertik Strom denies your opponent's ships of range combat bonuses against any of the ships in your squadron, not just himself. This means that when you have Zertik Strom in your squadron, you should always gain more of an advantage from close-quarters combat than your opponent. More than that, Zertik Strom's ability is only magnified when he's pitted against fighter swarms or when he's partnered with Carnor Jax , who can prevent his opponents from spending focus or evade tokens. 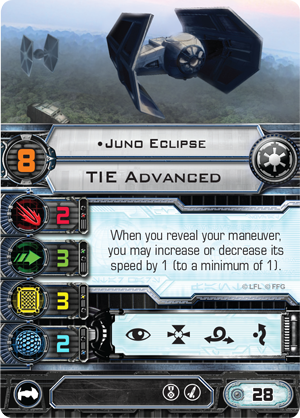 The last, but certainly not the least, of the expansion's new aces is Juno Eclipse , famous for her rapid rise from the Academy to her role as the leader of Darth Vader's handpicked Black Eight Squadron. 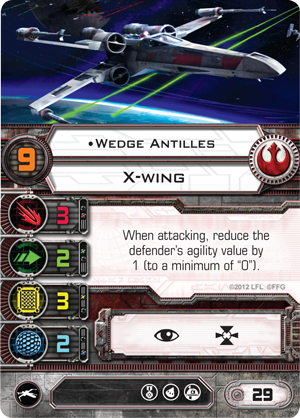 In X-Wing, her prodigious talents are represented by a pilot skill value of "8" and a unique pilot ability that allows her to push her TIE Advanced through more maneuvers than other pilots could possibly dream of executing. "When you reveal your maneuver, you may increase or decrease its speed by 1 (to a minimum of 1)." Not only does Juno Eclipse's abilty effectively add five new maneuvers to her ship's dial, it allows her to convert another two maneuvers (her speed "2" bank maneuvers) to green, and it grants her the flexibility to adjust her maneuvers based upon the maneuvers performed by all other pilots with lower pilot skill value. The maneuver chart for a standard TIE Advanced (left) shown alongside a chart that illustrates the maneuvers that Juno Eclipse can execute (right). The tactical flexibility that Juno Eclipse gains from her ability cannot be overstated. At pilot skill value "8," she maneuvers after all but the galaxy's most famous and infamous pilots. 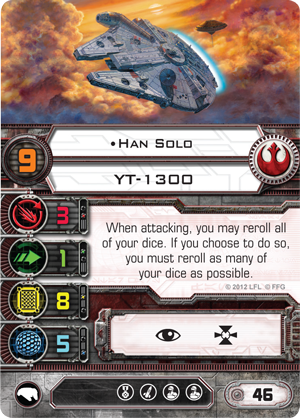 The short list of those aces with higher pilot skill values include Wedge Antilles , Han Solo , Soontir Fel , and Darth Vader . Equip her with Veteran Instincts, and Juno Eclipse can react even to their maneuvers. This means that by adjusting her speed and making judicious use of her barrel rolls, Juno Eclipse can easily slip out of enemy firing arcs, only to catch her targets square in her sights. Still, her ability does more than allow her to outmaneuver some of the galaxy's most talented pilots; it also allows her to avoid clattering into clumsy blockers. 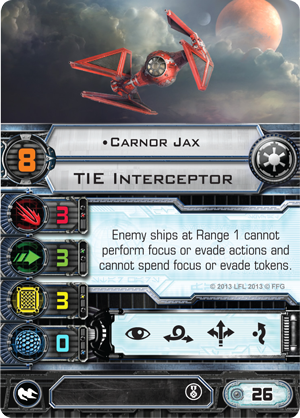 Players running swarms of fighters with low pilot skill value often take advantage of their early activations to send one or more ships to block potential flight lanes, but Juno Eclipse is immensely difficult to catch with such tactics as she can stop in front of her foes or fly past them by adjusting the speed of her maneuvers at the last possible instant. With its hyperdrive and shields, the TIE Advanced makes an excellent starfighter to accompany the Raider-class corvette on its patrols of Outer Rim systems, and with its new pilots and upgrades, the Imperial Raider Expansion Pack greatly enhances the fighter's abilty to enforce Imperial rule. How will you use the expansion's TIE Advanced and its new pilots in Epic Play? How will they factor into your 100-point squadrons? Head to our community forums to share how the Imperial Raider Expansion Pack and its TIE Advanced pilots now factor into your favorite builds!